When John McKinney says, “Take a hike,” people do. Willingly. With smiles on their faces. The Trailmaster’s unique insights, gained from the natural world and the “real world,” teach, inspire and entertain. Along with suggesting we all “take a hike” (in the most positive and encouraging way of course! 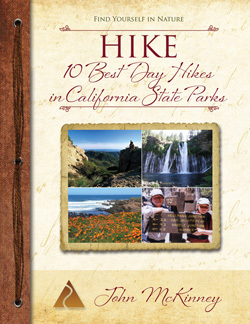 ), John shares heartwarming and hilarious tales of his trails across California and around the world. 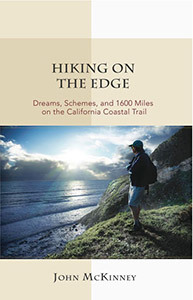 Author and hiking expert John McKinney, aka The Trailmaster, has written a thousand articles and more than 30 books about hiking including Hiking on the Edge: Dreams, Schemes and 1600 Miles on the California Coastal Trail and Hiking the Holy Mountain: Tales of Monks and Miracles on the Trails of Mount Athos, Greece. For 17 years, John served as the Los Angeles Times Hiking Columnist. The intrepid Eagle Scout the only one to hike and write about all 278 California state parks, and to solo hike the entire California coast. John has served on the board of the American Hiking Society, trained hike leaders for the Leukemia & Lymphoma Society’s “Hike for Discovery” program, and been a longtime supporter of the California State Parks Foundation and Boy Scouts of America. John McKinney has spent much of his career studying and gaining an understanding of the benefits of hiking—on and off the trail—as well as what motivates and inspires hikers and would-be hikers. John’s time on the trail, meeting park rangers and hikers from all over the world, as well as field research for his many books have combined to enable him to educate people on our crucial need to connect with nature. 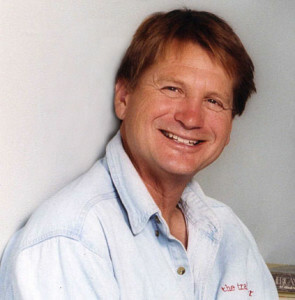 Trailmaster John McKinney has been featured or interviewed in major publications and media from the Los Angeles Times to NPR, and appeared on numerous regional talk shows and news programs. Many people—hikers and not—credit John’s talks, articles, books, blogs and web site, TV and radio appearances with inspiring them to hit the trail to a better life, reconnecting with nature and making positive and lasting changes in their lives. Hiking the Holy Mountain (Keynote, adjustable length) John was compelled by extraordinary events to live through—then write about—an odyssey that took him to a remote monastery on Mt. Athos, Greece. 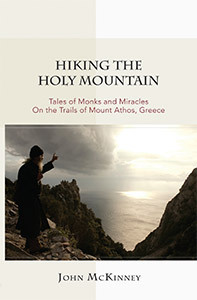 “Hiking the Holy Mountain” tells the story of two treks around a monastic kingdom where no woman has set foot for a thousand years, encounters with a colorful cast of Greek monks, and a series of miraculous events that took place on—and off—the Holy Mountain. This spiritual adventure is one of the all-time best tales of adoption, a glorious—and sometimes hilarious—story of faith and family. Take a Hike, Change Your Life (Keynote, adjustable length) John reveals how time in nature can benefit us in body, mind and soul, as well strengthen us in our most important relationships. Participants enjoy John’s heartwarming—and laugh out loud—tales from the trail as John shares his unusual profession and life as a hiker. The Trailmaster has solutions and cures for the alarming rate of “Nature Deficit Disorder” that affects so many kids and adults. A key deliverable is John’s “Ten Essentials for Hikers,” inner qualities and directions that help us on the trail and off. Meeting and event planners love working with John because he’s professional, dependable, and always engages his audiences with the right mix of inspiration, information, humor and real-world insight. Contact us (Cheri@TheTrailmaster.com) or call 805-845-7102 for more information and John’s availability. Be sure to ask about special discounts on John’s books.